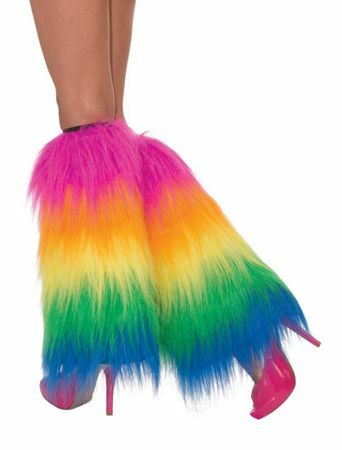 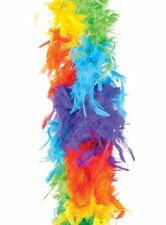 Complete your 80's costume, clown costume, or raver costume with these bright rainbow striped faux fur leg warmers. One size fits most adults. 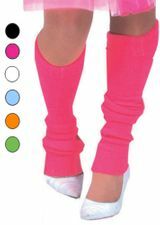 See more options in our 80's Costumes collection!